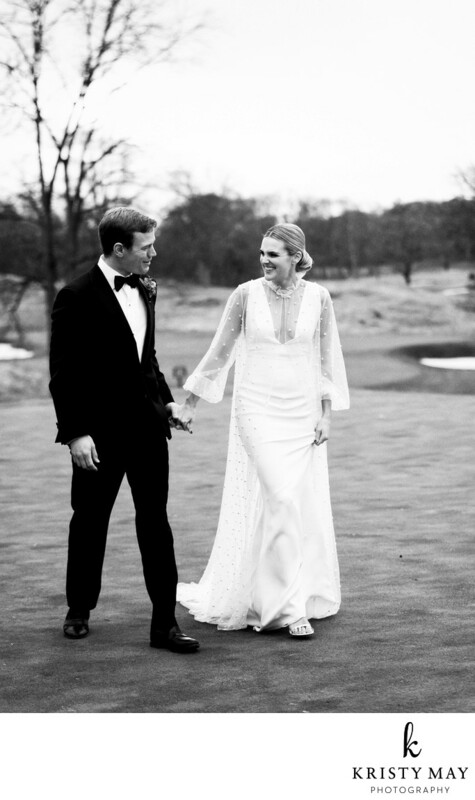 A classic bride and groom walk on the golf course at Round Hill Club in Connecticut. The bride's chic dress is Alexandra Grecco. The country club in Greenwich, CT hosts weddings in their historic clubhouse. For this winter wedding, the terrace was tented to expand the reception area. Read more about this wedding here. Location: 33 Round Hill Club Rd, Greenwich, CT 06831.